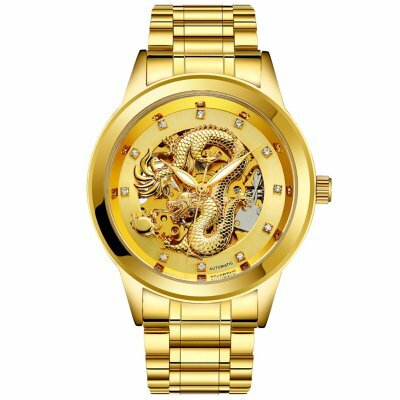 Successfully Added Men High-end Fully Automatic Mechanical Watches - Retro Dragon Pattern Business Waterproof Luminous Watch, All Gold to your Shopping Cart. Superior steel watchband, nontoxic, smooth, suitable for long time wear. 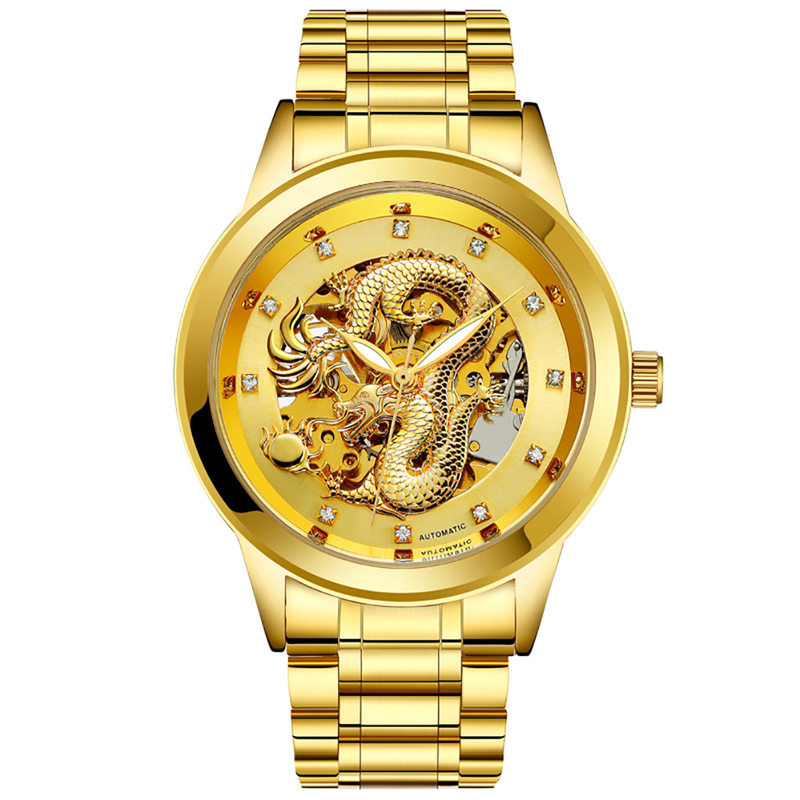 High-precision mechanical movement, give you a clear and precise time display. Stylish colour and round dial give you a chic and charming look. A perfect gift for birthday, festivals and other special occasions.